Mail Call’s mission is to provide a consistently efficient, professional and friendly courier service to a range of clients across the entire Sydney Metropolitan region. We have a fleet of push bike couriers in Sydney city as well as vehicles from hatches to vans and large trucks for pallets etc. 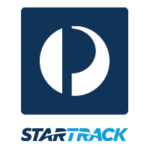 Track your courier job online. Services include City Push Bike, Local, Bridge Hopping, Suburbs and Outer Suburbs all with Standard, VIP and Exclusive “Red Hot” service rates and times. Visit website for more details. An update on Mail Call Couriers Australia – Aramex a Dubai, UAE based courier service has purchased mail call for a reported 33 million Australian dollars in the last financial quarter of 2014. Aramex has it’s sights set on online retail home and business delivery with services unique to the industry in Australia including deliveries outside of normal business hours.